While the most recent update to iOS 11 is hotly anticipated with the addition of a new battery health feature, many have their eyes set on iOS 12 and things that Apple might include with the launch of the brand new build. While we are expecting some changes with the release of iOS 12, you shouldn’t expect a major revamp of the operating system – with all signs pointing towards iOS 13 in 2019 being a big game changer. However, the jump from iOS 11 to iOS 12 will still be significant, and while we don’t have many confirmed features at this point in time, we do have a wishlist of what we’d like to see included with the release of iOS 12. This one is a near certainty. With Apple recently acquiring the Shazam utility, there’s no doubt that it will soon be rolled into the iOS 12 – perhaps as a feature for Siri. Out of all of the features that may be coming with the upcoming update, this is the one that is looking most reliable. There is, of course, a chance that the feature will come in a later update. With Apple having their hands on Shazam for quite some time at this point, however, this new build would be the perfect time to bring these music recognition features to the iPhone and iPad. AirPlay 2 has already basically been confirmed, due to its inclusion in the first couple of iOS 11.3 betas. However, it has since disappeared from the testing – indicating, perhaps, that it needs a little more refinement. It would make sense, then, that AirPlay 2 be introduced with the launch of iOS 12. While the most recent iPhones have performed quite well in comparison to other phones, there’s always room for improvement. A recent report from Axios suggests, however, that Apple’s software engineering division has decided to delay some of the features that were intended for iOS 12 in favor of ironing out bugs and increasing the overall performance. 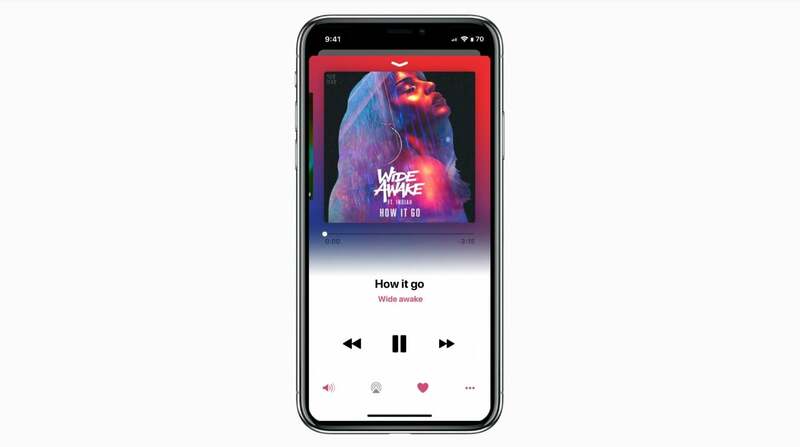 With a number of recent releases introducing bugs when they intended to fix others, Apple may have started to recognize that a breakneck speed for releases was causing more problems that it fixed. By giving developers more time to focus on providing quality releases, we may see a more stable and speedy operating system overall – perhaps at the expense of rapid feature releases. Apple investors have called for some improvements to parental controls on the iOS operating system, and it’s certainly possible that we’ll see these controls implemented in the upcoming build. Potential ways this could be implemented include a passcode for specific apps or maybe a Touch ID lock. Although we don’t have any idea on what to expect in terms of the Health features with iOS 12, we are expecting that we’ll see some sort of revamp or additions to the application. With the Apple Watch, Apple has put the focus on providing quality statistics to their users. While the original intention of the Watch was as a luxury piece of tech jewelry, the company has gained more traction as they positioned the device to relay health information to wearers. While the iPhone and iPad aren’t necessarily going to be revamped to provide the same exact features, it’s clear that Health is a priority app for Apple and it would make sense to see some sort of tweaks with the introduction of iOS 12. A recent Bloomberg report has suggested that there will be additions to the Messages app that will “more effectively connect users with their contacts.” Apple’s goal with the Messages app is to combine communications across multiple utilities into a single screen. By compiling all of the correspondence into one app, you might be able to see text messages, emails, and social network interactions in a single window. This may help solidify Apple’s already extremely popular Messages app into the go-to locale for iPhone users to stay connected with those who are important to them. It would certainly be a smart business decision for an iOS 12 update to drive users away from other apps and into a central location for all of their communication needs. If there’s one feature that would be a major game changer with the introduction of iOS 12, it would be this sort of revamp to such a major part of what makes iPhone great. There’s no current word on when exactly we’ll be seeing the iOS 12 release, and the exact features we can expect will have to wait until we get closer to that eventual launch. While Apple likely won’t reinvent the wheel with this new operating system, there’s certainly a number of features that could reinvigorate Apple’s already-polished iOS.